Replace your bow roller assembly with this complete kit. Includes a 4" roller, 2 end bells, and corrosion-resistant hardware. Black TPR material is stronger than rubber and softer than polyurethane. Call 800-298-8924 to order Yates Rubber boat trailer parts part number YR450BLK-400BLK or order online at etrailer.com. Free expert support on all Yates Rubber products. 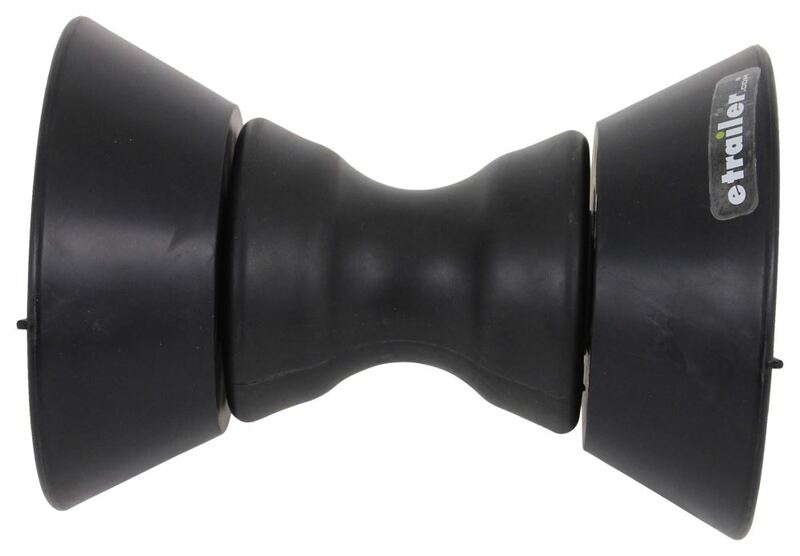 Guaranteed Lowest Price and Fastest Shipping for Bow Roller Assembly w/ Bells for 4" Wide Bracket - TPR - 1/2" Shaft - Black. Boat Trailer Parts reviews from real customers. Today, we're taking a look at a bow roller assembly with bells, for a four inch wide bracket. 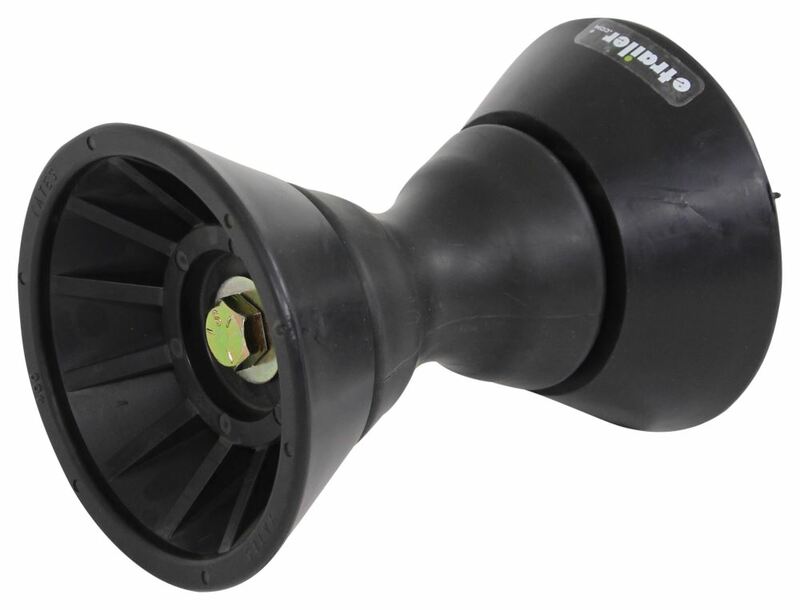 This bow roller assembly replaces the bow roller and bells, shaft and hardware, on your boat trailer. 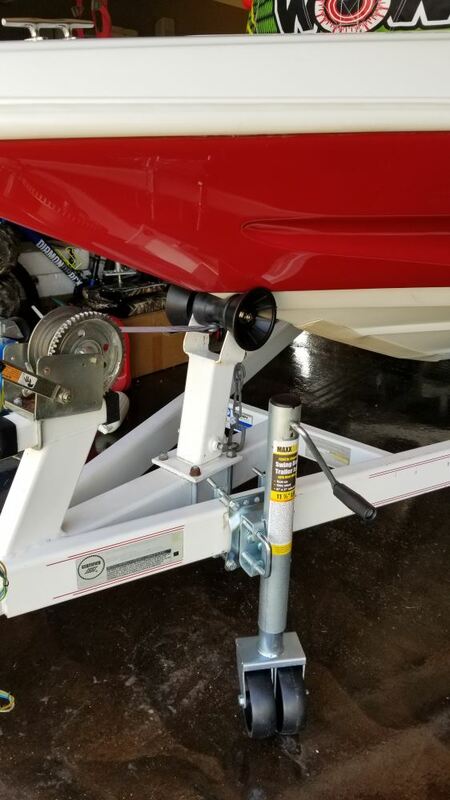 It eases loading and unloading of the boat, and supports the front of the boat as it sits on the trailer, to help absorb road shock while the boat is being towed. The end bells insure that your boat does not scrape along bolts or roller brackets.We're looking at a durable, thermal, plasticized rubber construction. It's a non-scratching material. It's stronger and more durable than traditional rubber, and softer, and more pliant than polyurethane. It's black in color, and it does come with the zinc shaft and hardware, with yellow zinc finishes that are rust and corrosion resistant.Product's made in the USA. This is designed for a four inch wide bracket, which would install here, between the roller and the end bells. That shaft that it comes with, that bolt measures six inches long, from the bottom of the bolt head to the end of the threads, by a half inch diameter. It also comes with the locknut, and it comes with a flat washer, one for each end.Now, the roller itself, this portion here, measures three and three quarter inches long, and then it has a diameter at the widest point, by three and one quarter inches. The end bells have a diameter, at the widest point, of five and one quarter inches, and then the diameter here at the attachment point is three and a half inches.That's gonna do it for today's look at the bow roller assembly with bells, for a four inch wide bracket..
Order: RelevanceNewestRating - High to LowRating - Low to High Replace your bow roller assembly with this complete kit. Includes a 4" roller, 2 end bells, and corrosion-resistant hardware. Black TPR material is stronger than rubber and softer than polyurethane. 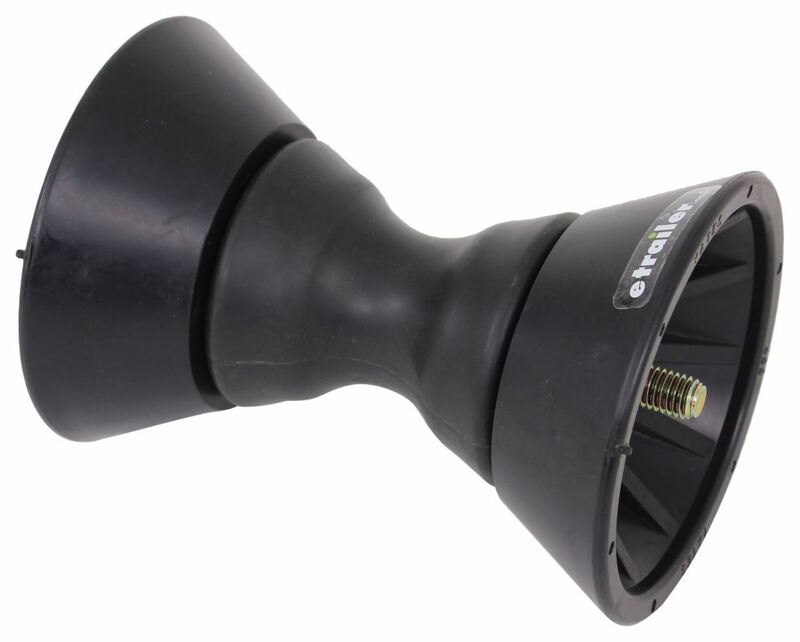 The Yates Bow Bell # YR400BLK that you referenced comes individually in that part number. For a kit that includes the 4 Inch roller, 2 end bells, and corrosion-resistant hardware, you will want the Yates Bow Roller Assembly with Bells for 4 Inch Wide Bracket # YR450BLK-400BLK. This kit includes the TPR roller and end bells.